This cream cheese frosting is thick and fluffy and is pipeable. 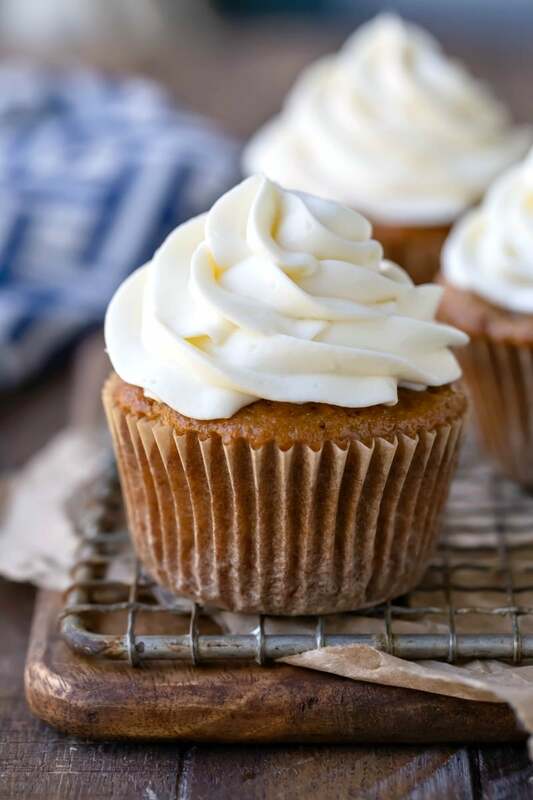 This easy cream cheese frosting recipe is made with just 4 simple ingredients! I’m not a frosting person. I don’t love the way that so many frostings are just crazy sweet. That’s why I’ve always liked cream cheese frosting. It has a nice tang to it that cuts some of the sweetness. 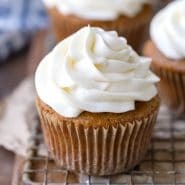 I’ve made a lot of versions of cream cheese icing over the years, but this recipe is my favorite easy, pipeable frosting. 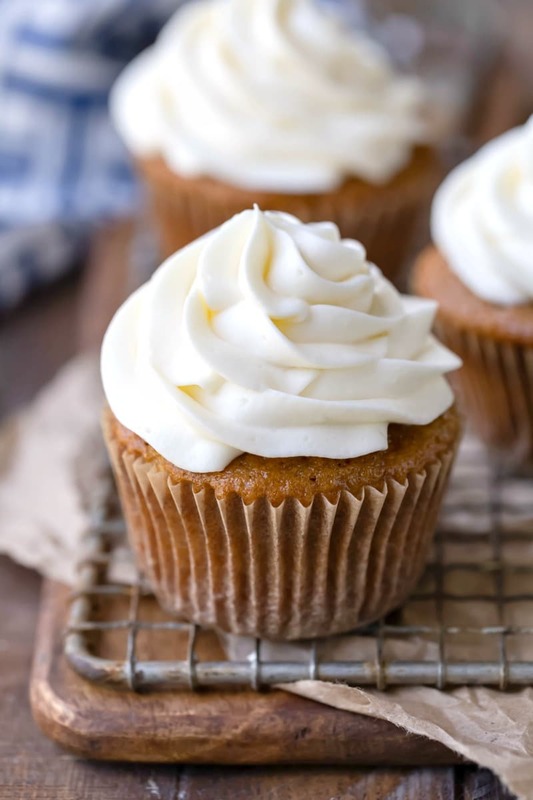 It’s a little different than traditional cream cheese frosting because it uses granulated sugar (check out my super popular whipped buttercream frosting recipe that also uses granulated sugar) and doesn’t use butter. This frosting is so thick and fluffy and creamy that you’d never guess that it has granulated sugar in it. It’s perfect for topping cakes, cupcakes, or cinnamon rolls! This frosting is so simple to make! You just beat the whipped cream, beat the cream cheese and sugar together, and then fold the cream cheese mixture and whipped cream together. Can this cream cheese frosting be piped? Yes, this frosting is pipeable. No, this frosting doesn’t crust. Can cream cheese icing be made ahead of time? Yes, you can mix up the frosting and then cover and store it until you’re ready to use it. I recommend storing this frosting, covered, in the fridge. More cream cheese frosting recipes! 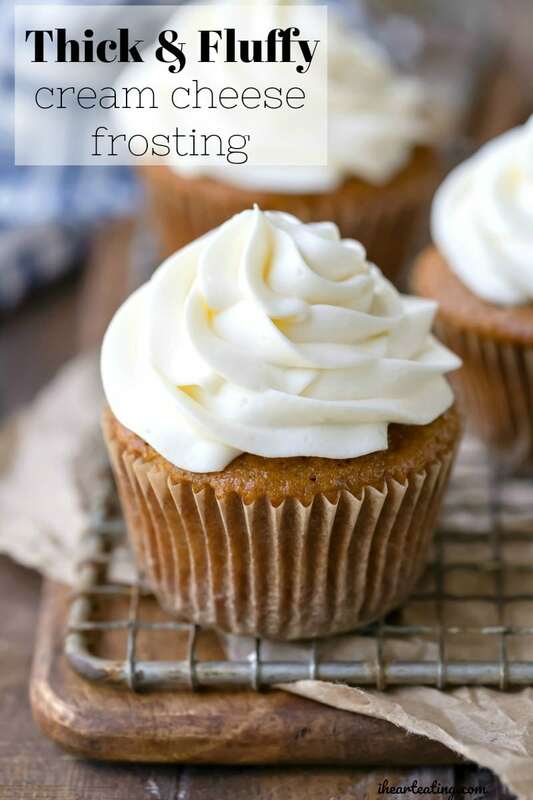 If you’ve tried this cream cheese frosting recipe, don’t forget to rate the recipe and leave me a comment below. I love to hear from people who’ve made my recipes! You can SUBSCRIBE to receive my latest recipe newsletters or FOLLOW ME on FACEBOOK, INSTAGRAM and PINTEREST for even more delicious food. Thick and fluffy cream cheese frosting recipe. Check out the tips and additional info above the recipe. In a chilled bowl, beat cream on high until stiff peaks begin to form. Cover and chill while you continue. In a large bowl, beat cream cheese, sugar, and vanilla together until well-combined, about 2-3 minutes on high. It's important that the cream cheese and sugar be well-combined, so don't cut this step short. *The cream cheese should be soft and at room temperature. If it's too cold, it can clump up when mixed with the whipped cream. This is by far the lightest, fluffiest, yummy, most pipeable cream cheese frosting I’ve ever made! I couldn’t believe it would work with granulated sugar but it’s way better than using powdered sugar! Love it! And it does color up very well. This is by far the lightest, fluffiest, yummy, most pipeable cream cheese frosting I’ve ever made! I couldn’t believe it would work with granulated sugar but it’s way better than using powdered sugar! Love it! Thank you so much! I’m so glad that you liked it! It’s kind of amazing the way that the granulated sugar blends in. =) Thanks for commenting! Best cream cheese frosting EVER!!! This blows my old recipe away. Thanks for the recipe! does it color well? also does it harden in refrigerator and have to put cake outside at room temp for sometime to soften icing b4 cake cutting. I don’t use food coloring very often, so I’m afraid that I can’t answer that. It does firm up in the fridge, but it doesn’t get hard. I think 10-20 minutes would probably be sufficient. Hope that helps! This was the best cream cheese frosting ever! It was fluffy and easy to work with. This recipe is a keeper! This was absolutely delicious!! I made this to frost a pumpkin cake, and it was a hit with my coworkers. I’ll definitely make it again. Thanks so much for sharing! Thank you! I’m glad that you liked the frosting! It’s a favorite at my house. =) Thanks for coming back to comment!